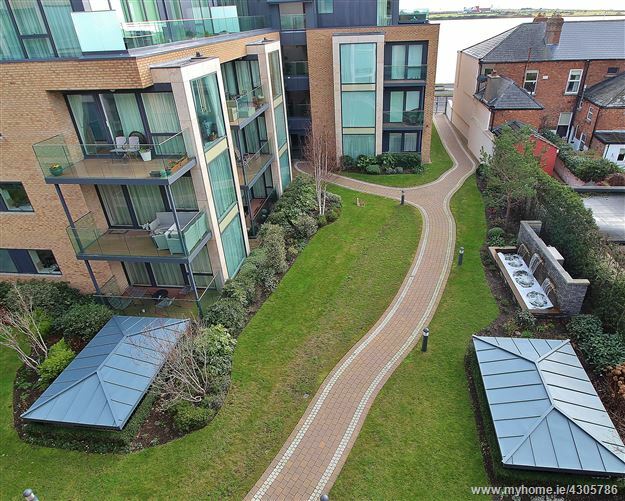 DNG are delighting to present this stunning top floor South facing apartment with superb sea views over Dublin Bay. 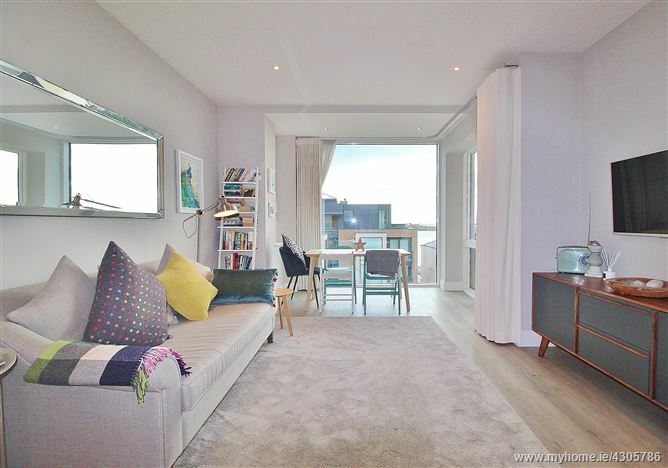 High quality and innovative design are a trademark of the developers, MKN Property Group, with the architects focussed on maximising light with high ceilings and floor to ceiling windows throughout. 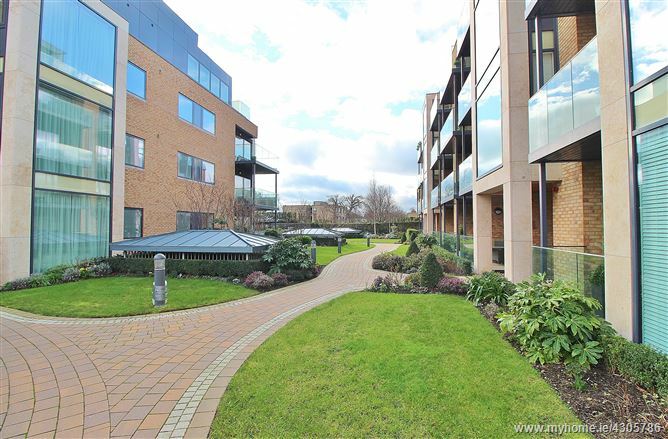 The quality of this development can be seen throughout the attractive landscaped gardens which include a stunning water feature, the contemporary open lobby areas and high speed Schindler lifts to all floors. 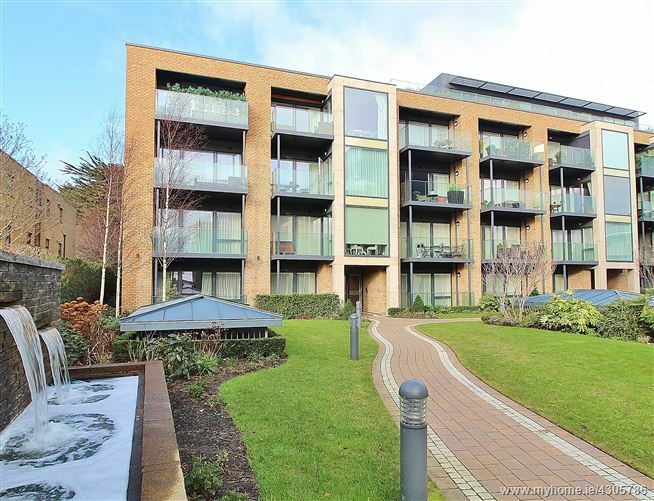 Presented in walk in condition, Number 58 Seascape is ideally situated on the 3rd floor of this prestigious, tranquil and gated development offering well-proportioned living and bedroom accommodation (approx. 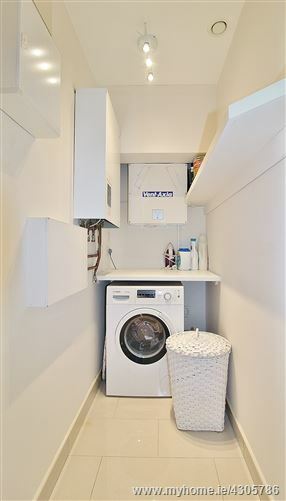 56 sqm.). 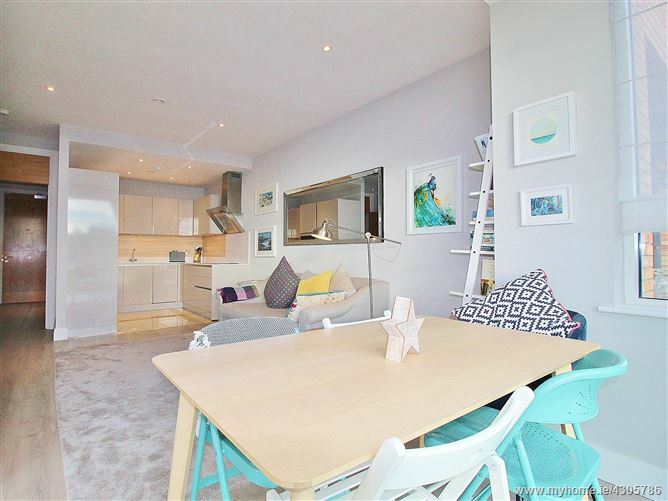 Internally the apartment consists of entrance hallway, storage room, utility room, bathroom, bedroom, open plan living/dining, kitchen with access to a spacious South facing balcony with striking sea views. 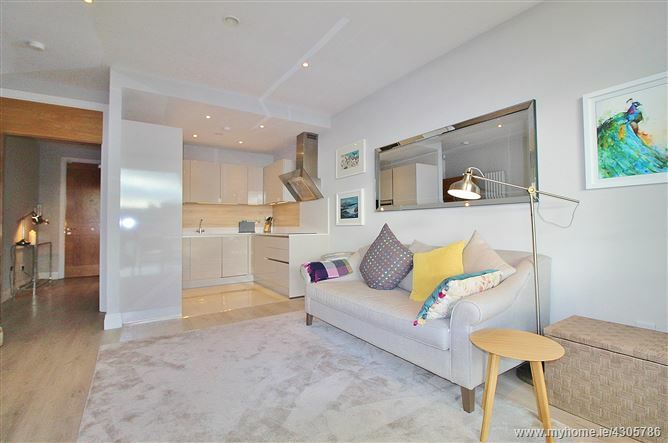 In addition, the apartment benefits from a secure parking space and a separate secure storage unit in the underground car park. 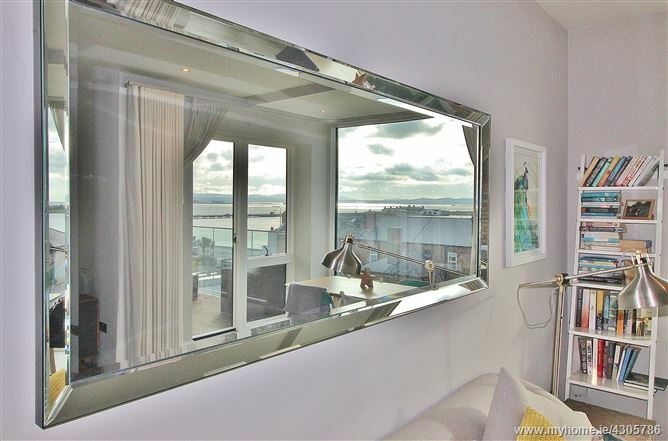 Sea views and a south facing orientation. 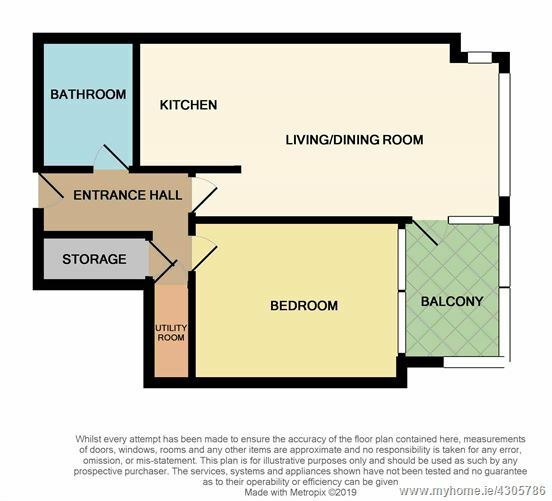 Top floor apartment (3rd floor). Designated parking space, visitor car parking and a separate lock up in the car park. 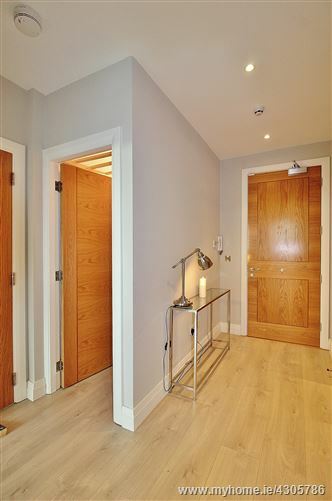 Heating: A centralised plant room with CHP and boiler technology to provide hot water and gas heating to each apartment. 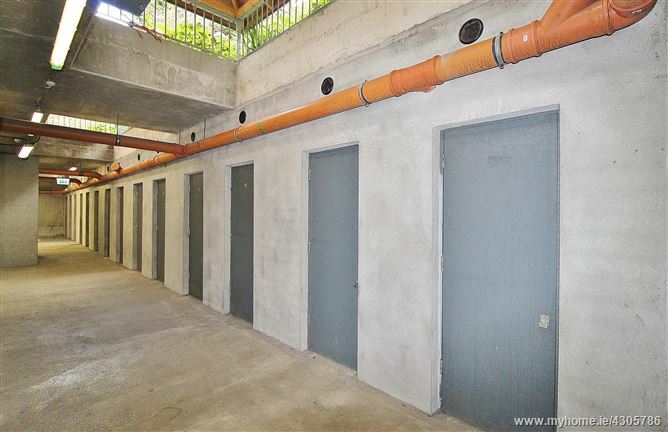 Pressurised water: The internal water supply to each apartment is pressurised. Ventilation: Each apartment is fitted with a Vent-Axia Kinetic Plus E mechanical ventilation / heat recovery (MVHR) system designed for the energy efficient ventilation of apartments. Security: Each apartment is fitted with an intruder alarm while the hall doors are fitted with a coded high security cylinder. There is also CCTV covering the commons areas and entrances to the development. Secure entrance gates to the development. 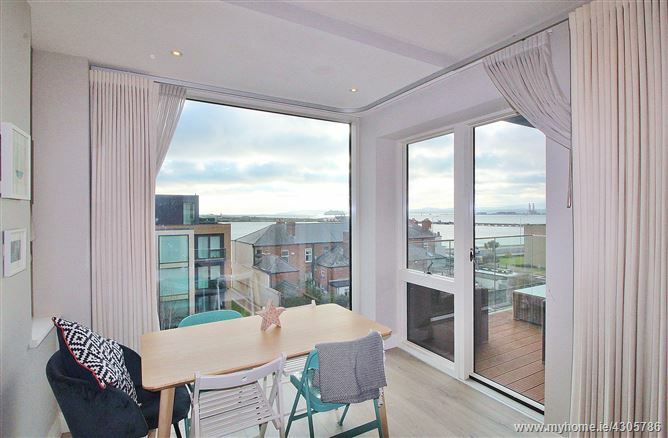 Living/ Dining room have full length windows, high ceilings and direct sea views over Dublin Bay. Access to private south facing balcony. 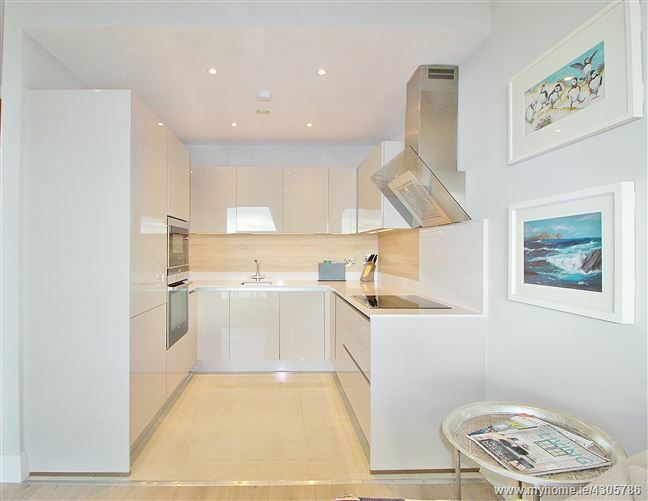 The Kitchen is located off the living area, there is a contemporary Kube handle less kitchen with sand high gloss doors and Silestone worktops. There are top of the range Siemens microwave, oven and dishwasher with a stylish Airforce chrome extractor. Door to Balcony. Playa sanitary ware by ideal standard. 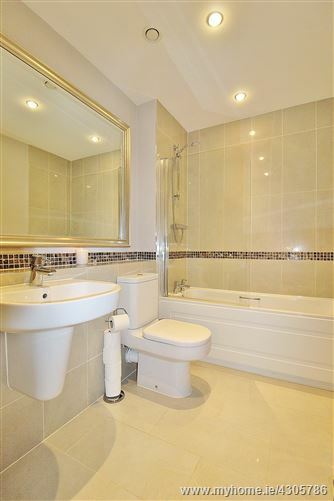 Floor and wall tiling, wc, whb, bath with shower, chrome heated towel rail. High quality flooring with shelving. 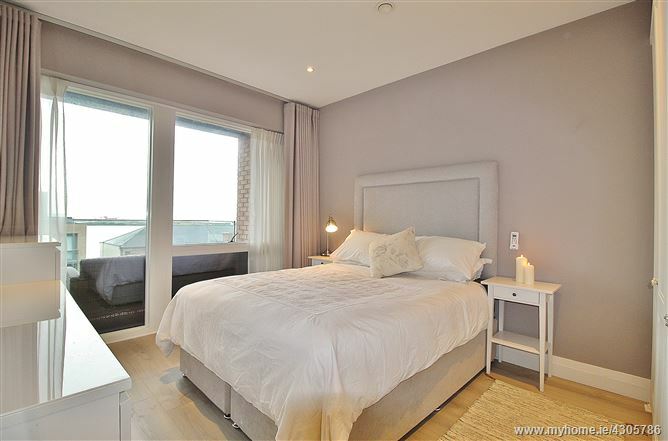 Double bedroom with built in wardrobes, air conditioning, sea views. 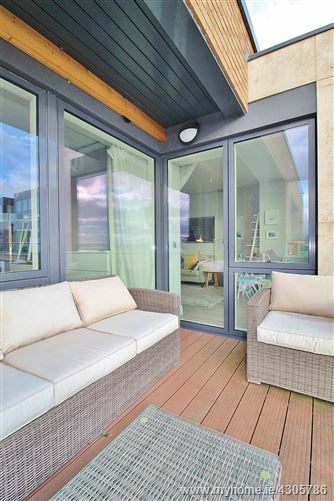 South facing with direct sea views, decked area with glazed balustrade.